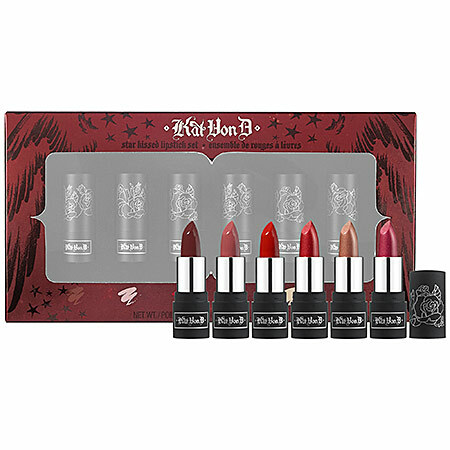 This set gives you a good way to try out a variety oh Kat Von D lipstick formulas and colors. From 6 lipstick I love three because for me it is more wearable when the lipstick is not shimmery. I really loved the formula of lipsticks. They are very moisturizing and silky. Colors are very bold but they does not stay long on the lips. From this picture first three (from the left) are mat ones and the last three - with shimmer. Omg - Benefit cosmetics !! !